Having emails stuck in Outbox is a pretty common issue in Outlook: you’ve wrote an email, clicked to send it, but it stays in the Outbox folder and Outlook is not sending the email, no matter what you do. 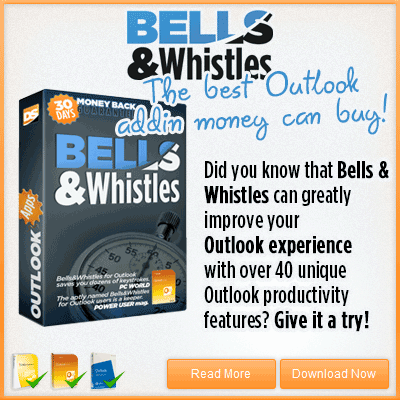 This article details possible causes & solutions and it applies to all Outlook versions, including Outlook 2013. There can be many reasons why Outlook wouldn’t send an email. To narrow the cause of the Outbox stuck emails, first of all you should check if you receive an error message while you perform a Send / Receive operation. 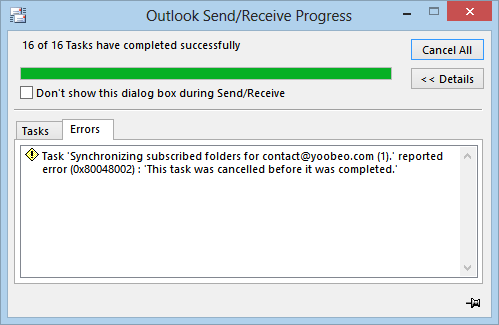 Most likely there is a communication problem between Outlook and your outgoing mail server, so the email is stuck in Outbox because Outlook can’t connect to your mail server to send it. – if the above solutions don’t work, use Google and search for the exact error code that you received while you are trying to send the Outlook email: it will likely lead you to a precise solution. You should also check out this list of the most common send & receive error messages and their solutions. The problem is likely to be related to your local Outlook configuration. To re-arm an Outbox email, simply double click on it to edit it, then click again on the Send button. Before clicking on the Send button, make sure you browse to a different Outlook folder, so you avoid automatically marking it again as read when you exit the email window. — make sure you don’t have an over-zealous antivirus that scans your Outbox emails and prevents them from being sent. Do a simple test and disable your antivirus protection, restart Outlook and try to send the Outbox emails once again. If they get sent, configure your antivirus and prevent it from scanning Outbox emails. — your Outlook data files might be corrupted: perform a data file scan using the Outlook ScanPST tool. If you deal with emails stuck in your Outbox folder and you can’t fix Outlook using any of the above solutions, please feel free to post your comments below and we will gladly try to help you. Outlook not sending emails. Based on above fixes, I fall in the re-arm category. I have to “re-arm” my outgoing emails every time. For example,when I write a new email, respond to an email, or send a file using email from word… They all show up in my outbox with date: NONE. Then I have to open the outbox, click on each one, reopen it, press SEND again, and then they register as Date: TODAY, and get sent. Why is this happening? It didn’t used to happen. They used to send immediately. It seems I need to find a setting that says “Send on click” or something like that. Try to disable 3rd party Outlook add-ins, one by one, then test and see if the emails are sent correctly. Maybe there is an add-in that is messing with the Outbox emails. Also disable your anti-virus and see if it makes any difference (some AV scan outgoing emails and they prevent Outlook from sending these emails on the fly, if the scan job wasn’t finished). I tried the recommended solutions above. All emails still stuck in Outbox. When I double checked the settings, I ran the Test, and it successfully sent a test email. But then when I go back to my Inbox and manually send a test, again all emails go to Outbox and stay there–nothing will Send. Please help! just got Office 365 and cannot send email. Been outlook user for years w/o issue. Using POP when I hit send message goes to outbox is bold but not italics and stays there. If I open message in outbox and hit send then it is delivered no problem. Another possible cause of the issue is putting a ” ” (a click of the space bar) in the “Your Name:” field when adding an email account to Outlook. Outlook allowed me to complete the processes of adding the account (it would not allow me to proceed by leaving that field empty) but when trying to send emails they sit in the outbox and don’t actually get sent. Putting characters in that field, such as one’s name or simply a “-“, allows emails to be sent. try by changing the port or disable the antivirus. Click More Settings… and select the Advanced tab. If those settings don’t work,repeat steps 1-3 and select None for Use the following type of encrypted connection. Try these other ports for Outgoing server (SMTP): 80, 3535, or 25. Scott. I have the same problem. nothing helps. My problem was having TLS setting instead of SSL using the wrong port. Am using outlook app with problems of emails stuck in outbox only arrising sixnce travelling in Mexico. Any solutions? Open the email, place the cursor into the Subject textbox, press and Outlook will generate a duplicate message. Send this duplicate. After the duplicate has been sent delete the hung message. I’m not sure why this works, but I’ve successfully used this workaround many times. I use Quick books and I’ve been having trouble sending my invoices from Quickbooks thru my outlook..especially when I add an attachment from my computer to the email. It stays stuck in the outbox. as I need to send an email, all the emails stays in my outbox folder and takes a long time to send the mail. can you please help/assist me? If you click on the Send / Receive button, do they emails get sent immediately? Problem is solved. Too large email that I’ve tried to send blocked all the other sending emails. I use outlook 2013 in a windows 10 pc and I can’t send any message. All are sent to outbox folder. I already unabled the antivirus antispam toolbar, try the work offline and turn it on line again. So far nothing works, mails are still stuck in outbox folder. Anyone who know how to solve this?